Cinnamon is a common spice that has been used medicinally for hundreds of years, and with good reason – studies have shown that it can have a positive effect on cholesterol levels, diabetes, gastritis, and even some strains of HIV. It’s also used as a natural aphrodisiac. Used externally, cinnamon oil has antiseptic, antibiotic and analgesic properties. 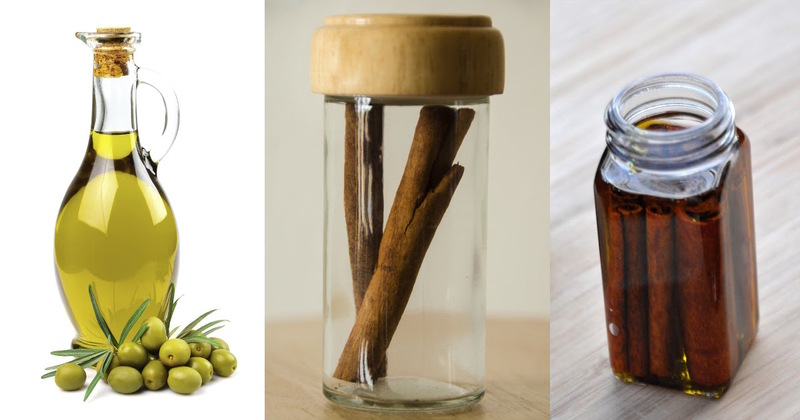 Place the cinnamon sticks in a glass jar and cover them completely with extra virgin olive oil. Screw the lid on tightly and leave the jar at room temperature for two weeks, shaking the jar occasionally. After 2 weeks, you can strain the oil through gauze or cheesecloth and put it in a dark bottle. This oil can be used in desserts, or consumed on its own for medicinal effects. When taken with a meal, cinnamon can help lower blood glucose levels and promote a feeling of satiety in healthy subjects(1). This is especially important for individuals living with diabetes, who can struggle to keep their blood glucose levels in check. Cinnamon may also help encourage weight loss, which is important in the prevention of type 2 diabetes. Recent research from Rush university has discovered that cinnamon may contain compounds which can help alleviate symptoms of multiple sclerosis, or MS – as well as potentially other neurodegenerative diseases, like Alzheimer’s disease and Parkinson’s disease. “If our study is successful, there may be a day when just a teaspoonful of ground cinnamon per day with milk, tea or honey, may help MS patients manage the disease process and significantly cut down on the drug cost drastically to 10 dollars per month per patient,” said one of the study’s leaders in a press release(2). Research dating back to 2009 has suggested that cinnamon may play a role in the treatment of HIV, an auto-immune disease which, when left untreated, can develop into the AIDS virus. “Optimized elderberry, green tea and cinnamon extracts rich in certain flavonoid compounds were shown to block HIV-1 entry and infection in GHOST cells,” one study explains(3). 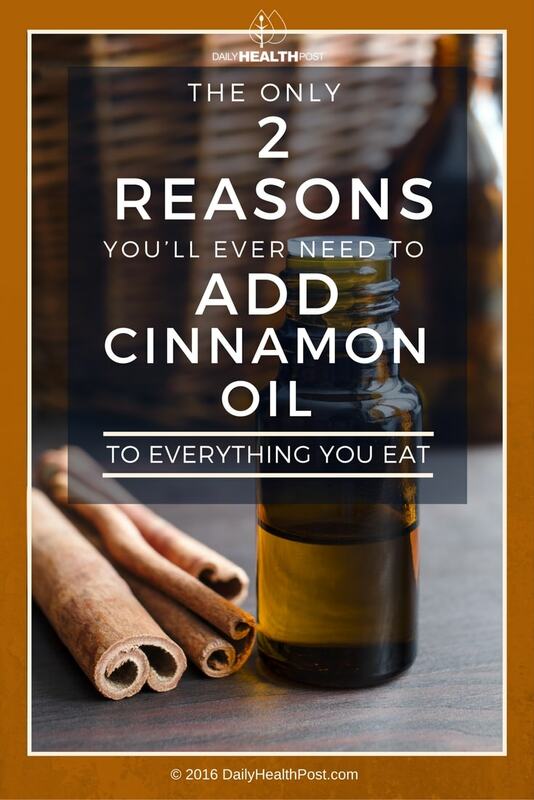 When taken externally, cinnamon oil can be an effective antifungal agent, helping to kill fungal infections like athlete’s foot and candida(4). Simply apply the cinnamon oil to the affected area; it also may have an analgesic effect as well.